Having the best content on your website is one way to become a successful publisher. You are going to have to promote your posts in order to the get most out of your articles. Promoting your top posts to your visitors gives you a better chance to keep them on your website for longer. 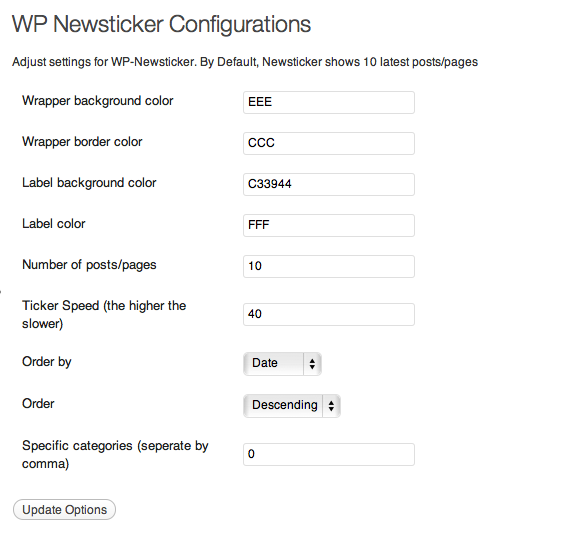 WP Newsticker is a superb plugin that makes promoting your featured content on your site easier. The number of posts, speed of animation, and the order of posts can be modified from the settings page. This is a perfect solution for news sites or those of you who are worried about your older content not getting the attention they deserve. It does not slow down your website, which is nice.